Have you noticed dark patches in the front of your couch or in high traffic areas? Does it look grungy? You assume that giving these areas a good cleaning will get rid of them, but this may not do the trick. There are a few reasons that a professional cleaning may not get rid of them. If it’s bad, then outdoor shoes in the home may be the biggest reason this is happening. The dirt gets tracked all over the carpet even if you do your best to wipe your shoes off every time you come in. Using that door mat will not remove all the dirt from your shoes. It will take off most of it but not the tiny particles that are stuck in the treads of the bottom of your shoes. Walking over the same path of carpet or sitting in the same spot on your sofa causes the shoes to rub the carpet fibers and will wear at them. Think of sandpaper and the affect that it has on a surface. The tiny particles that are left behind are abrasive, will grind the carpet fiber and damage it. If we look at it in a different way, we can understand why it’s darker. The surface carpet fibers are cylindrical, round and smooth when they are manufactured. This allows light to bounce off the smooth finish. When the surface gets damaged then light can’t reflect as much, and it will look duller. Think of plastic. It’s hard, smooth and shiny when it’s new. If it gets scratched over time, it will get dull and look darker. This is what happens when the carpet fibers get rubbed down with soil particles on shoes. This will make your carpet look quite unsightly. Cleaning it will make it look better but the damage might be permanent and impossible to restore. Those slippers you slip on after a long day at work can also contribute to dark spots, especially if they are black on the bottom. The continuous rubbing will have a negative impact on your carpet. If your slippers look worn out it may because they have been worn out on your carpet! What Does Soiled Carpet Mean? Soiled carpet that has been created by shoes can cause ‘inground soiling’. The constant contact with soil in one area isn’t always possible to remove. This can be compared to the collar of a white shirt that stays dirty even after you wash it. You can wash it as many times as you like but the grubby collar remains. Ineffective cleaning isn’t the reason why you can get it clean, it’s an issue with inground soil. Prevent this problem by protecting your carpet as much as you can. Don’t wear shoes in the home and wear slippers with light-colored soles. Taking these two steps can do a lot to protect your carpet from unsightly dark spots appearing. Another step to keep your carpet looking its best is to make sure you have your carpets cleaned regularly to remove all the tiny particles that can ground into your carpet. Your carpet can look great for a long time if you contact Leading Carpet Cleaning to schedule your professional carpet cleaning today! Draft marks show up on carpets as spots or dark soiled areas. These marks will happen around the edges of rooms or under the doorways. If the situation is extreme, it can happen in the middle of the room in the configuration of the floorboards. Another term used in when this happens is filtration soiling, fogging or dust marks and the reason it happens is always the same. When air that is contaminated blows across the carpet, the carpet will act like a filter and remove dirt from the air and this is the reason you will see these marks that are both ugly and difficult to remove. How Does Contaminated Air Get to the Carpet? How Can Filtration Soiling be Removed? Depending on how fresh the soiling is, there’s a chance it can be removed by cleaning it but it’s very hard to remove. 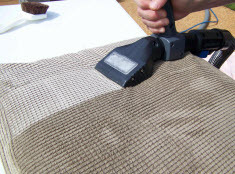 The microscopic airborne soiling is oil bonded to the carpet fibers. The success rate will depend on the nature of the soil and the amount of time it’s been there. There are ways to clean it that can almost completely remove most of it if it’s fresh and older stains can be reduced. If the contaminated air continues to flow through the areas, it will just come back. Harsh cleaners should not be used as this may remove color from the carpet fibers and have you replacing your carpet! The sooner you take care of these marks the better. If they are created over a long period of time they can be very hard to remove if not impossible. When it can’t be removed it’s called ‘inground soil’. There are other marks that look the same and need to be taken seriously. They are the black lines that you may see all around the edges of the carpets in the rooms and can happen on the stairs too. They may be draft marks but are most likely caused by the fact that the vacuum cleaner can’t get right up next to the edge of the carpet against the wall. Therefore, there is dirt that never gets cleaned up and will just get darker and darker and will become ‘inground’. Make sure you use the crevice tool to clean along the edges to prevent this from happening. If you have noticed filtration soiling in your home, it’s best to call the professionals at Leading Carpet Cleaning as soon as possible for the best results at removing them. When you are worried about your carpets and want to do what you can to keep them looking good you need to know what you are dealing with. There are several types of stains, spots and spills you need to be worried about. If they are not treated properly and with the right cleaning solution to ensure that the stain gets clean and not damage your carpet. You want to keep your carpets looking good but cleaning them correctly will extend the life of the carpet as well. The more stains and spills that you have on your carpet the worse they will look. The longer they sit on the carpet the harder they will be to treat them and remove them. Over some time you will need to replace the carpet which can be a cost that you were not anticipating. Although any kind of spill can cause a stain there are some that are more common than others. 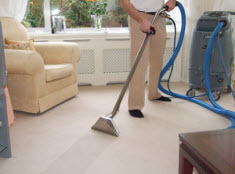 Leading Carpet Cleaning Offers The Top Spills & Stains That Affect Carpets On A Regular Basis. Cleaning Pet Urine Carpet Stains: One of the most common types of problems that people call to ask for professional carpet cleaning is from pet stains. There is a huge reason that this is top of the list. Unlike other types of spills, the pet urine specifically is one that not only leaves a stain but a foul odor as well. The odor will remain even after the spill has been cleaned when done incorrectly. The odor has to be treated on its own to keep your house smelling fresh. Even the very best pet can have an accident and one small accident is enough to cause a problem in your home. Start by treating the look of the stain with a cleaning solution made up of water and dish soap. This is mild enough to not damage the carpet but enough to clean a spot that is still fresh. You need to neutralize the odor by using a baking soda that covers the area to sit. After about 15 minutes you can pick up what you can then run the vacuum. Coffee Spills Stain Remover: One of the most common drinks that people will have to start their day is a cup of coffee. Where do you sit when you start off the day? Most likely on the couch catching up on news and other daily chores. The cup can be spilled and that will leave a large brown spot that needs to be cleaned as quickly as possible. You can use a vinegar, dish soap and water to treat the area. If it does not come out on the first try you need to repeat again until it is cleared. This will take some diligence and patience while you work on it. Carpet Cleaning, Stain Removal & More in Orange, Santa Ana, Rancho Cucamonga, Anaheim, Whittier, Riverside, Chino & Fullerton California. If you are concerned about stains on your carpet it is best to contact a professional carpet cleaner. 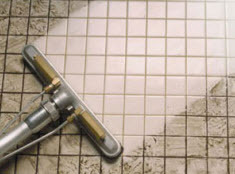 Leading Carpet Cleaning has the tools and cleaning solution to take care of all types of stains. Benefits of Professional Carpet Cleaning in Orange, CA & Why it is Important & Worth it! Homeowners and business owners that feature carpet in their properties are often diligent when it comes to the vacuuming, spot cleaning and care of their carpets. But many neglect the professional cleaning. It is recommended that residential carpets are cleaned at least once a year, more if needed, and commercial carpets are cleaned two times a year, or more if need arises. Though the carpets don’t always look they need a deep cleaning, after time, even with diligent vacuuming, they need the rooted debris extracted. Today, we at Leading Carpet Cleaning would like to share some of the signs your carpets are in need of a professional deep cleaning. When it comes to professional carpet cleaning, the carpets are sanitized, odors neutralized, and stains absolved. With the professional service in conjunction with routine vacuuming and care, your carpets can continue to look amazing, retain their quality and last beyond their expected life span. Because the soil particles penetrate below the surface, even the minimum that manages before vacuuming, can damage carpeting, professional cleaning is necessary. The friction caused from daily foot traffic against the dirt and debris causes a sandpaper-like effect, expediting the deterioration. Dirt and debris are not the only enemies carpet has, but regular spills causing stains and odors are another as well as pets with accidents that also stain and cause odors among others. Many stains and odors can be a challenge to remove, especially if they are had an opportunity to set in. Even if you manage to prevent stains from blemishing your carpet, the routine professional cleaning is still optimal. If you notice the following red flags listed below, getting your carpets cleaned by a professional should be among your priorities. 1) Odors emitting from the carpet. Noticing foul smelling odors resonating from your carpets should be an incentive to request professional carpet cleaning. Different kinds of odors, especially when you do not know the origins of them, can be a challenge to neutralize. With the various foods, beverages, household chemicals, pet accidents, and so on, befalling your carpets, it is only a matter of time before the odors emerge. When the home remedies, department store cleaners and excessive vacuuming prove unsuccessful in removing the smell, professional deep carpet cleaning can. Whether there are obvious stains or not, deep carpet cleaning can effectively neutralize odors and remove stains. 2) Carpets are looking faded. Daily foot traffic, direct sunlight shining in through windows, and time, carpets will begin to fade or look dingy. If the carpets are not quite as vibrant as they once were, your carpets could use a professional deep cleaning. 3) Frequent allergies. When you or other members of the household seem to have reoccurring allergy symptoms such as eyes tearing up, runny noses, sneezing, and difficulty breathing chances are is the allergens trapped in the carpet fibers and padding are aggravating them. Realizing the allergies come about more frequently and last longer, a deep carpet cleaning from a professional might be your only relief. In addition to allergies, contaminates found in the fibers can also trigger asthma attacks and other such respiratory problems as well. If any of these signs apply to you, or it’s been over 12 months since your last professional carpet cleaning, call in the experts of Leading Carpet Cleaning and let our professionals get started!